To Tat or To Crochet? 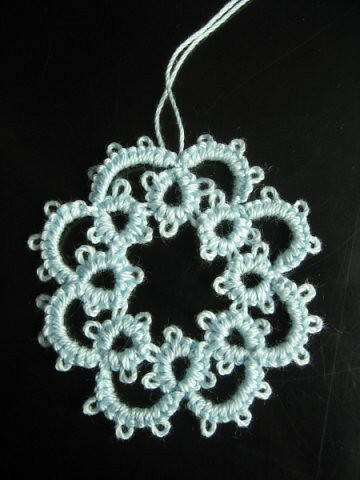 I was sort of surprised to find out the fancy Cluny leaves can also be achieved by tatting, so I pick up my doll needle to make a try. 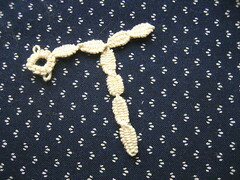 There is a very good tutorial on tatting the Cluny leaves with needles. Obviously, this is a technique I cannot master so easily. I repeated the angle pattern 3 times to get the two wings (more or less) symmetric. I am still hesitated to claim that I know how to do the leaf: more practice is definitely necessary before trying more serious patterns. 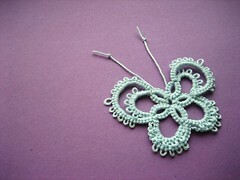 No doubt one simple project is not enough to really master the skills of needle tatting. 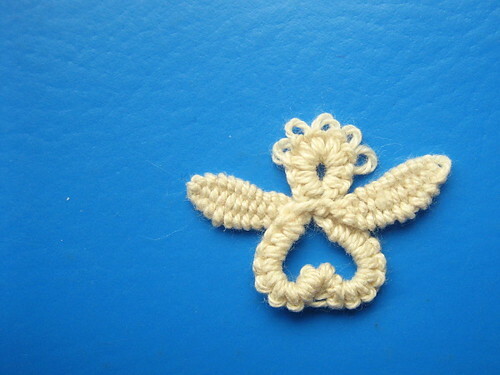 This time, I made a butterfly with my doll needle. This is a little challenge for myself during the last weekend.